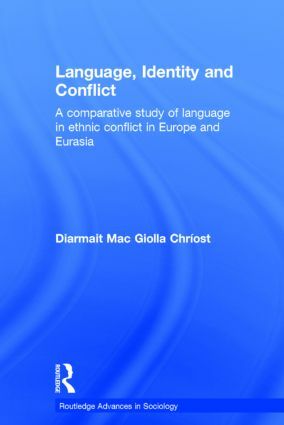 This innovative study of language and identity in recent and contemporary cases of ethnic conflict in Europe and Eurasia sets out a response to the limitations in the fields of linguistics and political science. Using examples of language policy and planning in conflict situations, it examines the functions of language as a marker of identity in ethnic conflict, and the extent to which language may be a causal factor in ethnic conflict. Diarmait Mac Giolla Chr?ost has been a consultant and advisor to a number of national and international agencies. He is currently facilitating a new departure in language planning in Wales through establishing a strategic language planning agency in the form of an innovative partnership arrangement between Trinity College and Carmarthenshire County Council.